The pine trees on the right side of the fairway are the best target for your drive. There is more room than there appears to be on the left side, but the right side of the course is available for you. The approach shot is a blind shot; the best targets are the tops of two pine trees at the top of the hill. 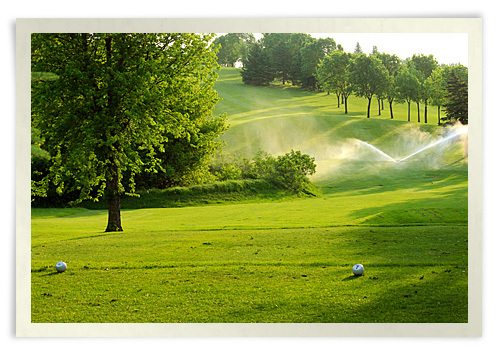 If you can keep the ball between these two trees, you are right on target for the green.